The KDE neon team has been working with the Blue Systems hardware enablement team and the Pinebook developers to create the KDE neon Pinebook Remix. It uses our Bionic images built for arm64 to create a full featured slick desktop that runs on the best value hardware. 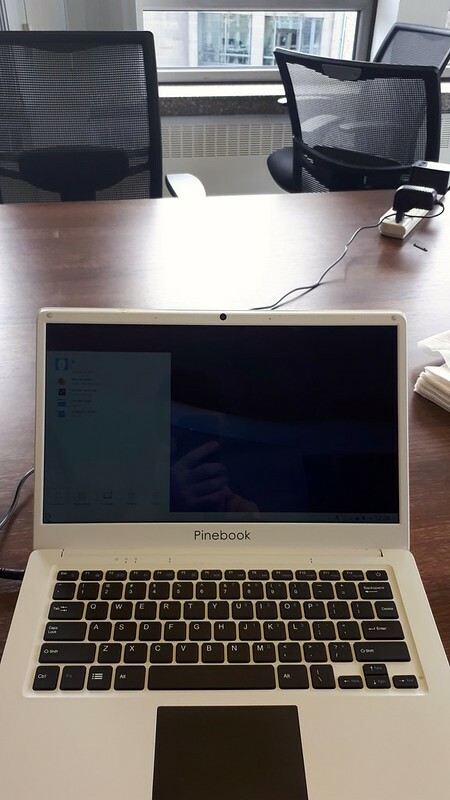 The Pinebook comes at a low price but it’s a full laptop useful for watching videos, browsing the web or coding on KDE software. This could open up whole new markets to getting KDE software, a school which previously could only afford a couple of computers could now afford enough for a classroom, a family which previously had to share one computer could now afford a laptop for the children to learn how to code on. It’s quite exciting. And with the KDE Slimbook, neon now covers all ends of the market.